Sean Combs is ready to move on if the world will let him. Earlier this month, a jury acquitted Combs on the bribery and gun possession charges he faced in connection with a 1999 shooting in a New York nightclub, ending an endlessly publicized criminal trial. In his first on-camera interview since the verdict, Combs told MTV News' Sway Calloway that he's more interested in discussing his future plans than in rehashing that seven-week trial. He did, however, reveal his feelings about his former protégé, rapper Jamal "Shyne" Barrow, who was convicted of assault, reckless endangerment and gun possession in connection with the 1999 shootings. He also explained why he no longer wants to be called Puff Daddy — or even Puffy — and why he plans to take an extended hiatus from his career. Check it out. Sway Calloway: After a 14-month ordeal — 15 months, six-week trial — it's finally over. How do you feel? Sean "Puffy" Combs: Man, I just feel blessed. [That's] the first word that comes to mind. I was in a situation where the only way I could come out of it was by putting my faith in God. No matter how good my lawyers were, no matter how much celebrity I had, everything was just stacked up against me. I was innocent, but all the things that were coming out was just ... it just felt like .... oh, man, my worst nightmare. All the things personally [that] I was going through at the same time. God just really blessed me and got me sitting here with you today. All the support from the fans, all the MTV viewers and the fans and just the people of New York, even all over the world, just all the prayers really helped me in a hard, trying situation. It's been like a year and a half, life being on hold, just waiting to get this over with. I feel good. I'm glad the truth is out. I'm glad everyone knows I'm innocent, not guilty. But then also it's a bittersweet situation, because the situation took a lot out of people's lives, a lot of time out of people. A situation where you have Shyne, a young artist on the label, he's now incarcerated, and also a situation where I feel he didn't want to hurt anybody, try to hurt anybody whatsoever. Just not a good night, let's put it that way. Then you have people that are victims that are hurt. It's bittersweet, and then it's also to a point of being tired, being on MTV everyday, "The Puffy Trial," boom — like, you don't got a video, but you got the Puffy trial up there. Sway: We have to tell the facts. Combs: No, no, I understand that, but I'm just being honest with you. It's like some of the time, it gets to the point where I'm at right now. It just gets draining on a person being in the papers every day. So I was like, I'm gonna come back here. I want to talk to all the people, the fans. I want to let them know how much I appreciate all their support. How the situation has really been a life-changing experience. It's been a humbling experience, and I'm just blessed to be here. Sway: Let me ask you this, because I'm looking at you physically, and it's obvious — it looks like you've lost some weight through this whole process. Combs: Yeah, I lost some weight. Sway: I can't even fathom what it would be like, sitting in that courtroom and waiting for the jury to announce the verdict, knowing that that verdict is the difference between years in prison and freedom. What went through your mind as you waited for the verdict? Combs: As far as the stress level of everything, I always had a confidence [from] being innocent, or only accused of a crime. You have a deep confidence, 'cause you know you didn't do it. But then also it's the scariest thing, because you envision, like, well, what if something goes wrong? I'm gonna be doing some time for something that I didn't do. That's like the worst thing you can imagine, but you always go back to that point of the truth, and that kind of gives you peace, [and] of course just having faith, just releasing it to God and having faith. That stressed me out, but it had me feel scared emotionally — too scared — but then [I was] also at peace of knowing the truth. It's hard to explain. It's something I wouldn't wish [anyone] goes through and hopefully people, fans, young kids — even though I'm innocent, kids will know that. Don't get yourself in certain circumstances or instances, because it's not a good feeling to be sitting in that chair where you've got 12 people that are in control of your life. You have an opportunity to be in control of your life for yourself by the decisions that you make. Sway: Did you feel that the media covered the trial fairly? Combs: Oh yeah. I don't really think they covered what was going on in the courtroom, though. When you got the story the next day, a lot of the time it was sensationalized. And there was some journalist that did cover it well, but some of the more sensational newspapers sensationalized it, like there was something else that went on. They would just try to put all the bad stuff out there to try to make it look like it was the worst situation. But then you had a lot of journalists that did report it fairly and had journalistic integrity, and it was a situation that ... I just didn't think it was going to be that big. I just didn't think it was gonna be that big of a deal on an alleged gun possession. Sway: You're household now, so that kinda comes with the territory. Combs: I mean, I was bugging when I saw them stop CNN. They just stopped the regular scheduled program, and when I saw the tape two days later, I was like, this is really something. For them to stop CNN ... I was getting calls from Australia and Africa. But I'm glad it turned out right and I'm glad people aren't ... I'm glad the truth is out there. Sway: This whole incident was like a soap opera — a drama, if you will — and it had its high and low points. What were some of the darkest, lowest points of this whole incident for you? Combs: I would have to say around the holiday. Around the holidays, and the weeks after. It was a real dark time. There were some real dark times. There was time where I was losing a lot of weight, where I wasn't doing a lot of eating, it was just like straight-up, oh boy. I was really having to reevaluate why this was going on. I couldn't. I had to just look inside myself and do something. I was like, wow, this is real deep right here, and I don't want to go through this again. Whatever, whatever's going on, I just want to get through this and I don't ever want to feel this pain again. Sway: And how did it affect you personally? Combs: It affected me to a point where I've got to take a break, to be honest. I'm not even going to lie. Mentally there's so much between the trial and the case and the Jennifer [Lopez] stuff and the stuff with my kids and the business stuff and then the scrutiny of the media and being in the public eye, being in the papers everyday, being in the news everyday. It's a lot, so I just need to ... I'm gonna take what they call a leave of absence. A leave of absence, just to be Sean. 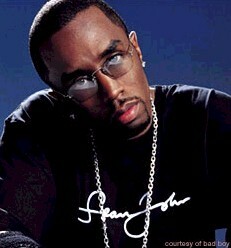 To be Sean Combs for a couple of days and just evaluate everything that has happened. Just so I could learn from everything and make the right decisions going forward and I could figure out what I want to do in the future, as far as if I want to be a record chairman, if I want to be a movie star, if I wanna retire early and do whatever. That's not my train of thinking as far as retiring early, but it's just that [I need] time to figure out what level of position I want to play in the whole game of life, the whole world of entertainment. Sway: In the closing argument, your attorney Benjamin Brafman suggested that the witnesses that testified against you might have been part of a conspiracy and that they actually got together to fabricate this whole story about you. Do you believe that to be true? Combs: I mean, he has his beliefs. I think there were separate conspiracies, but on one common goal: to get some paper. But I just have an announcement to everybody — I don't have as much paper as you all are reading out there. I don't have like hundreds of millions of dollars in the bank and all that, so a lot of y'all are really wasting your time. But a lot of people have big dreams; a lot of people want to get rich and not work for it; and a lot of people also, at the same time, when they see an opportunity they try to grasp at it. It's like part of the American way, you know. If you trip on the sidewalk, you're supposed to lay down and hold your neck and say "I can't move" and yell "Ambulance." But I don't work too hard to let somebody come and lie, take my life away from me. It's like four different minds had four different plans with one common goal, and that was to get paid. Sway: What is the status of the civil lawsuits at this point? Combs: I don't know the exact status, but we're going to fight them. There's some new facts that I'm not guilty, so I don't know what substance those lawsuits have, but I'm sure people are going to try to get their hustle on regardless. Sway: Are you worried about it at all? Combs: Me fighting battles. That's been one of the problems. I'm used to it, and I don't want to fight anymore, so I'll let someone else deal with that. I think they'd be real disappointed to realize I don't really have a billion dollars. I just want everyone to know that, so don't fall and trip in front of me, man. Sway: Let's talk about Shyne. Shyne, in effect, lived up to [his] lyrics ... by shooting a gun that night, and he is a Bad Boy artist. Do you feel that Bad Boy should have to accept responsibility for their artists? Combs: [It's] impossible to control somebody's head, somebody's actions. The Bad Boy artists, many men and women, know that they have to be responsible for their actions. I have to be responsible for my actions. But defending Shyne, you know there are people at the club that said they saw somebody else with a gun. You know his defense was that he felt that his life was in danger and he was defending himself. I just know that he didn't mean to hurt nobody, because the proof shows it. His gun was fired in the air and he did not mean to hurt nobody. Hopefully through appeals it was a mistake that was made, and hopefully the judge will be lenient on him and everybody will learn from the mistake. I know he is sorry just like I am sorry that anybody got hurt, but Bad Boy Entertainment did not shoot anybody. I didn't shoot anybody. Sway: Did it upset you when you found out that he actually fired a weapon? Combs: I didn't know. ... I didn't want to address the judgment. Like everybody else, I didn't know all the facts because I didn't see it myself. I didn't know all the facts — I had just heard it. When speaking to him, I understand with the circumstances that [went] down, but I never got into all the exact facts. I understand that things happen and I know that he is not the type of person that [would want] to hurt [anybody]. He is young and talented. He is definitely somebody [whose] life shouldn't be wasted. That is not going to make life any better, being in jail a long time, so we are just praying. Bad Boy, we are going to help support his appeal and everything. Sway: There was an interview published in a New York City newspaper [Village Voice] — I am sure you are aware of it. Shyne, in that interview, he claimed that the relationship was strained, where he thought you tried to distance yourself from him, and he felt that he was abandoned and that there was a possibility that his album would not be released. Combs: Well, his album was released, and I don't abandon anybody, but to be honest with you, going through that time and that time period, going through a lot personally with the courts, I wouldn't abandon nobody. I would be lying if I said I was just talking to everybody. I was really [keeping] to myself during that time, and there were times that I was upset sitting at that table. I didn't blame him or nothing like that — I was not mad at him — but I was just ... really, it was a serious situation, and I was just looking at it from everybody's point of view. Sway: Are you communicating with him? Combs: I've talked to his lawyer, and I am going to see him in a week or so, because I have been talking to him through his lawyer. I speak to his lawyer like once a day; I don't speak to [Shyne]. I just got back into town, so I may speak to him this week on the phone. I am going out of town, but I will come back and see him. Sway: Will Bad Boy be making any changes in the type of acts they sign? Combs: Bad Boy will be versatile acts, but to be honest, I've got to not think about that for a while. To be totally real, I have to take a leave of absence for a couple of months, half a year, whatever it is, just to walk around, enjoy life, just be out of the public eye for a minute, just for a couple of months — whatever — just to take a little break. So I don't have the answers to that, 'cause I am not really thinking about making no records and making no money, I am not really into that right now. I am more thinking about getting myself right as a person, because if I am right, then everything that I produce and create is going to be even that much more better. This whole Puff Daddy thing has taken a toll on me. Sway: I heard that you are going to get rid of the name? Combs: Oh yeah. When I come back, I am definitely changing the name. No more Puff Daddy. I am not doing it as serious as Prince — I'm not gonna be just crazy with it — but I mean, we didn't beat the Puffy, Puff Daddy name up enough, so probably, like, the first week in June, we are going to have a name change ceremony. Clinton is probably going to change my name — Bill Clinton. I like his style; he's a survivor. They went at him; he's still standing. Probably have Elton John, he's still standing. They get it really, really spicy. It is going to be changed to straight P. Diddy. You could call me P. or Diddy, or P. Diddy. Sway: Why are you doing that? Combs: I just want something fresh, man. [If you see] "Puffy" in the paper, it has a lot of baggage with it. I just need a fresh start. It has a lot of different things, a lot of controversial issues with it. I just need a fresh start. Will you call me P., or will you call me P. Diddy? In the second part of our post-trial interview with Sean Combs, he tells MTV News' Sway Calloway about his ex-girlfriend Jennifer Lopez, what happened the night of his arrest, how the trial affected his children and how his fans kept him going through the ordeal. Sway Calloway: Did the effects of the Club New York shooting and the trial put a strain on you and Jennifer Lopez that ultimately led to your breakup? Sean Combs: The only thing I'll say about Jennifer is she's somebody I'll always love, and that I'll always love her and we'll always be friends. I mean, we're regular people. I know a lot of people are like, "Jennifer Lopez and Puff Daddy!" But that's Jennifer, and I'm Sean, and we're regular people. Sometimes realationships don't work out, but for me, she's somebody special and it's diffrent than [any] regular relationship that I've ever had. She's somebody I'll always love, and everybody else will just have to handle that. I'll always love her, you know? And i just want her to be happy. When the time is right, we'll meet again. We'll meet again, and we're gonna talk about some things but, you know, it's been a real trying year. There's been a lot of heat and it's hard to really have what we going through [while] being so high profile and being so busy. It made things even harder. But you know everything's all good. Sway: You had family members in the courtroom. I saw your mother there all the time. Russell Simmons, Heavy D, different celebrities ... did any thoughts of not being able to be with those people and your children again go through your mind? Combs: Yeah, all that. This was one of the worst times of my life; straight up, one of the worst times of my life. I've had a couple of real bad times. There was just so much going on personally and also with the trial situation. It was just a lot. I know it was not something special. I know there are millions of people out there that can relate ... and to those people, just keep your faith in God. You can get through it. But those things run through your mind. The trial was a big deal, especially in New York, and my kids knew the play-by-play. My kids were going to school and would call and be like, "Good luck today in court." And they would know what happened that day. They'd be like, "I heard someone got on the stand and lied, Daddy," and "What happens now?" "Did they have a verdict?" They became educated with the judicial system, being that it was in the papers every day, on MTV, on BET. You couldn't escape from it. So I had to deal with that with them and that, personally, was really heartrending. Sway: One of the reasons it must have been frustrating, I would imagine, is that you had a gag order [placed on you], so you couldn't really respond to what was written in the press. A lot of the public didn't get a chance to hear your version of what happened that night, even when you testified. I happened to be in the courtroom [when you testified], but now that you can talk about things openly, walk us through what happened that night. Combs: I still really can't give you an exact play-by-play, because of the different lawsuits that are out there, but I can give you an overview of it. Basically me and Jennifer, we were supposed to go to St. Bart's. We were supposed to go on vacation [there] the next day. We were gonna bring in New Year's there together, being that we were gettin' real busy. Then I get this bright idea [laughs] like, "Come on, baby, let's go dancin', let's go listen to some music, stay up all night, then we gonna go get on the plane the next day." The plane is on the runway. Going to the club, we're having a good time. We leave the club, there's a commotion; next thing you hear, you hear some gunfire. We get pushed out of there. Next thing, they're pulling our car over. Next thing, we're in handcuffs. Next thing you know, [I'm saying] "What are y'all doing? Y'all know, you know I didn't have a gun, you know Jen didn't have a gun." You know, "What are we doing here? C'mon, can we talk about this?" There was really no talking about it. There were news cameras outside, and it was on and poppin' from there. It was like [I was] guilty before [proven] innocent. Sway: You had a lot of supporters outside the courthouse every single day. 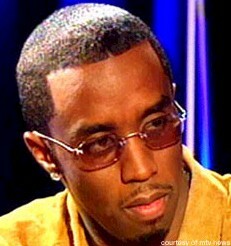 Tell me why are fans so important to P. Diddy and his career. Combs: Fans made me. The fans gave me a chance, and they made me. Beyond that, my career has been trials and tribulations and ups and downs, so I have to have true fans riding with me. People [who] weather the storm, ride with me through the dark times and the sunlight times, the up times and down times — I appreciate them for that. When you are down on the ground and somebody is extending their hand to you, it just gives you hope. Usually when you are going through something real bad, ain't nobody there. I had fans there, and it made me feel so good. There were fans that were outside [the courthouse] the whole time. When the verdict came down, it was just packed with press and fans, and they [kept] the fans real separate. They did not let them be close, because they did not know who was in the crowd, for security purposes. When I was leaving, I had to go and hug them all. I just saw it in their faces that they were happy; they were as happy as me. I saw men with tears in their eyes. I just wanted them to know that I am approachable. I ain't untouchable. I am blessed and fortunate, and I am grateful to be here. This is not [me saying] "I got over another one." This really shook me up. See, people that really cared, I just wanted to dive on them. I wanted to let them know that they are really appreciated. Sway: What was the most memorable thing that a fan has done for you in your career? Combs: I have been blessed with some of the best fans. I have had fans make me the big picture collages of the photo books; I have had fans send me birthday cakes [and] sing to me on my voicemail. I have had fans flash me. I have had older fans give me their bras and underwear onstage. I think the biggest thing is fans praying for me — sincere prayers during hard times. Beautiful letters of words of support. Fans making tapes of them doing songs, and fans crying. The most touching thing is fans crying. That really bugs me out. You'll be like, "Please, don't do that, it makes [me] feel so uncomfortable right now," but it just feels so good and makes you cry. I have had some of the greatest fans.